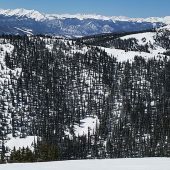 The Hippie Trees, also known as the Tele Trees, is a zone of steep East-NE facing skiable options that include tight trees, nicely spaced trees, open faces, cliffs, pillows, and areas of high avalanche danger. The runs are short but the access is relatively quick. 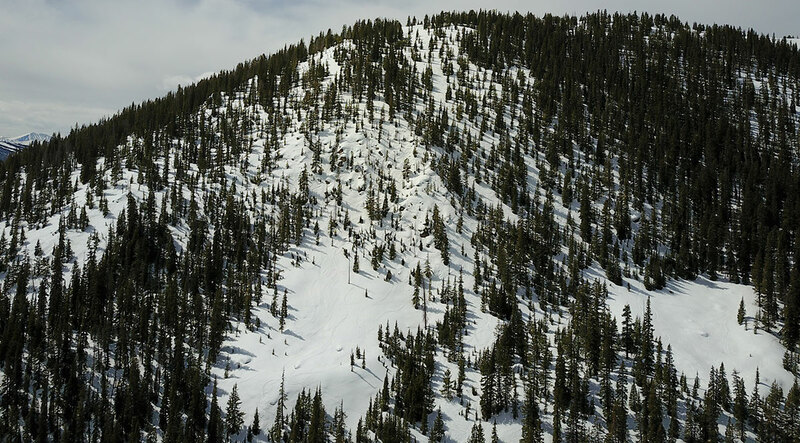 You can get to them from down below by skinning up the drainage to get to the ridge, or you can start from the top of Loveland Pass, hiking Southwest from the parking area to get up on the saddle. If you go that way you'll have to ski down through some dangerous avalanche terrain to get to the point where you will be able to start skinning up the ridge. 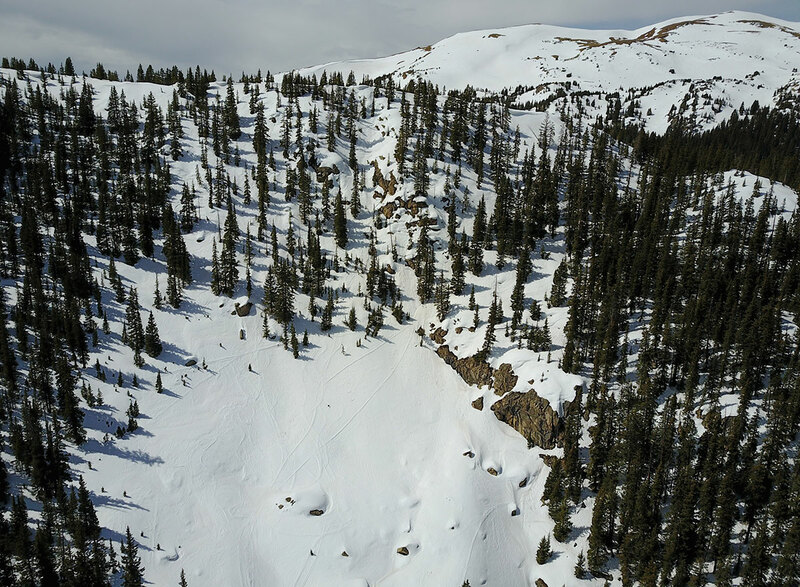 Be careful not to ski under a cornice or traverse under a steep face that could slide on you through that section. 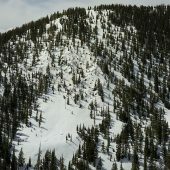 Once you start up the ridge you'll have numerous options to drop in. The most popular section is a steep open gladed area all the way at the top of the hike heading E-NE. 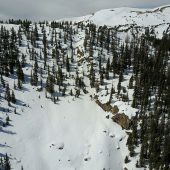 Avalanche potential is high no matter where you decide to ski so be aware of that. A really fun zone that comes complete with a beautiful skin and high avy potential. Be wary of the main face with the cliff features later in the day. These trees have a killer pitch. One of my favorite runs in the county!